Data is the new oil: When Mukesh Ambani, chairman of Reliance Industries Ltd (RIL), made that statement at the Nasscom India Leadership Forum in February 2017, what he meant was that, simply put, data has the same power to fuel human capabilities which oil has had over the last five decades. He should know: Ambani is, after all, the leader of India’s largest company by turnover, which has generated billions of dollars in wealth over the years by refining crude and manufacturing petroleum products. Few would have imagined how the key themes of Ambani’s talk—data and exponential change—could come together to change the paradigm of India’s telecommunications industry and alter the way in which Indians consume data. Yet, over the last one year—since Reliance Jio Infocomm (Jio), RIL’s broadband wireless and digital services company commenced operations—that is exactly what has happened. It took Jio a while to get to this point. 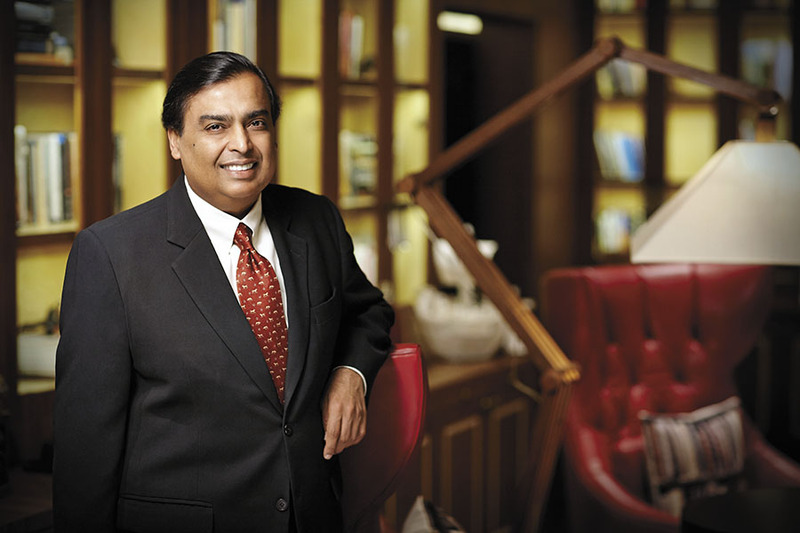 RIL announced its foray into telecom in 2010 after it acquired Infotel Broadband, a company that had won pan-India wireless airwaves through a government auction. The next six years were spent building and testing a greenfield ecosystem using the latest technology, including partners, vendors, and an infrastructure network comprising optic fibre cables and transmission towers. The ambitious project, on which the oil-to-yarn and retail conglomerate has spent close to ₹2 lakh crore, had its fair share of naysayers along the way as well. Some doubted whether diversification away from the core oil refining, marketing and petrochemicals business was prudent; others questioned whether the world’s first all-IP (internet protocol) network over VoLTE (voice over LTE) that Jio was building would work, since there was no global precedence of the same. But those speculations have been put to rest as Jio has managed to build a ground-up 4G (fourth generation mobile telephony) network with 138.6 million subscribers consuming 1.25 billion GB of data a month and 2.67 billion minutes of voice calls a day—among the highest in the world—since it started commercial services in September 2016. Despite the fact that RIL’s fledgling telecom venture is yet to report a profit (on a net, full-year basis), the value that investors foresee accruing to the company from this business is evident. In the last one year (till October 24, 2017), RIL’s share prices have soared by as much as 79 percent to ₹947 per share. It is little surprise then that not only is Ambani the richest person on the 2017 Forbes India Rich List with a personal net worth of $38 billion, he is also the highest gainer of wealth in absolute dollar terms, adding a staggering $15.3 billion to his net worth. Much of this gain in Ambani’s wealth, which is also a reflection of the rise in RIL’s market value, has been on account of the value investors have ascribed to Jio. “Mukesh Ambani is doing for India’s poor what Steve Jobs did for America’s rich,” remarked one commentator last July after Ambani unveiled the cut-price JioPhone. The new telco on the block has not only redefined the rules of the game—by drastically reducing the cost of data and offering voice calls for free—but has also shaken up the telecom sector. Owing to Jio’s competitive onslaught and the incumbents’ response, the volume of data consumed in the country has grown nine times to 4.3 billion GB in the April-June quarter, says analyst Rohit Chordia, in a Kotak Institutional Equities research report dated October 4. Further proof that most of the new mobile data consumption in the country is happening in the high-speed band is evident in the fact that 40 percent of the data subscriber base is on a LTE (4G) network, accounting for 80 percent of the data consumption in the country, the Kotak report states. Sceptics had also argued that Jio’s services would stay popular as long as they remained free, and that volumes would drop as soon as the telco started charging for its services. These concerns have proven to be unfounded as well. Jio launched its free services in September 2016 and moved to a paid regime in April this year. Despite that, Jio reported a robust net subscriber addition figure of over 15 million as recently as in the September quarter (up from 13 million in the April quarter), with a market share of around 10 percent. An IIFL Institutional Equities research report dated October 16 estimates around 75 percent of Jio’s overall subscriber base has migrated to paid services. Jio also said that it had realised an average revenue per user (ARPU) of ₹156.4 in the September quarter, and the steady stream of subscribers witnessed by the carrier has encouraged it to even hike its tariffs for some of its plans. A JM Financial report dated October 23 estimated Jio’s ARPU to further increase to ₹165 in FY20. Despite the competitiveness with which Jio has priced its products, its reported ARPU in the second quarter of fiscal 2018 is similar to that of India’s largest telco Bharti Airtel, which reported an ARPU of ₹154 in the first quarter of fiscal 2018 (its second quarter earnings numbers weren’t public at the time of writing this story). Even Jio’s reported revenue and profitability numbers for the September quarter (the first for which it has disclosed these figures) have pleasantly surprised the Street. Jio reported a standalone revenue from operations of ₹6,147 crore, a standalone Ebitda (earnings before interest, tax, depreciation and amortisation) of ₹1,443 crore, with an Ebitda margin of 23.5 percent. Jio’s earnings statement stated that a positive operating profit in the first quarter of commercial operations was the function of “tremendous uptake by subscribers and cost advantages generated through the use of efficient 4G technology”. The IIFL report cited earlier said that Jio’s performance in the second quarter of fiscal 2018 was a “beat” on expectations, leading the brokerage to revise Jio’s estimated enterprise value to $40 billion from $26 billion earlier. “We also think appearances matter, and regardless of accounting conventions used, Jio’s bright numbers have diluted the predatory pricing arguments incumbents have been using against Jio,” analysts GV Giri and Balaji Subramanian said in the IIFL report. Indeed, Jio has been investing heavily and stitching partnerships for various data-led, value-added services across categories like content and entertainment, financial services and health care. Kolla says Jio has the opportunity to build, what he calls, a “Jio Internet” for India, in a bid to hold on to the consumers’ attention as much as possible. In doing so, Jio may well replicate what large technology giants like Facebook and Google have achieved around the world. The other consequence of Jio’s aggressive market approach has been a consolidation in the Indian telecom market, where only the survival of the fittest is possible. The financials of several incumbents like Bharti Airtel, Idea Cellular and Vodafone India have come under pressure, as these telcos sought to protect their turf against Jio by dropping prices. It’s not just the end-consumer who has been the beneficiary of low-cost data. Lawyers and investment bankers, who have been helping telecom firms stitch up all kinds of deals, have also benefited from it. For instance, Vodafone and Idea Cellular have agreed to merge operations (the deal is yet to be consummated); and Tata Teleservices has decided to hive off its wireless business on a no-cash, no-debt basis to Bharti Airtel. Also, Reliance Communications and Aircel had proposed an amalgamation of their wireless services business, but that deal fell through due to regulatory and legal hurdles. As Eagle of Jana puts it, the competition in most telecom circles has now become a three-way contest between Jio, Airtel and Vodafone-Idea, versus the nine or 10 telcos battling it out in each region earlier. There are indications that the trend of declining tariffs in the Indian telecom sector may have bottomed out and, going forward, the competition will be on quality of services. 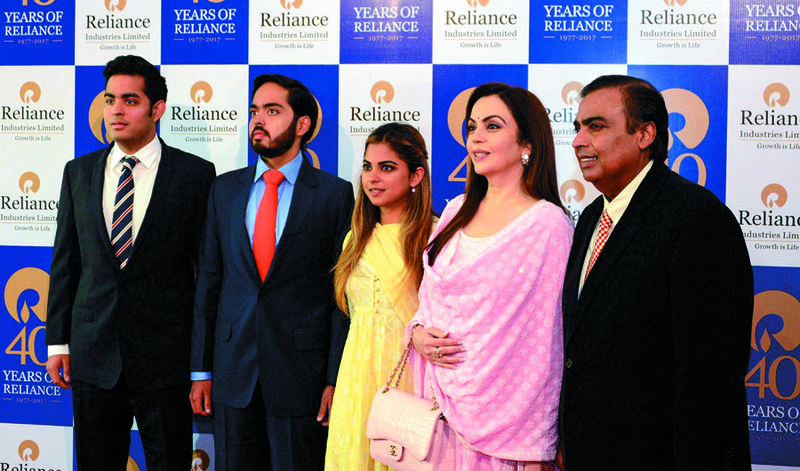 Ambani had also pointed out: Why should high-quality wireless connectivity and value-added services only be the purview of the more affluent Indians who can afford the latest in smartphone technology? With the aim of truly democratising data and helping people at the bottom of the pyramid realise its benefits, Jio announced its next major transformational offering in July when it unveiled the JioPhone: A feature phone that will effectively cost users nothing, apart from a refundable deposit of ₹1,500 and a monthly tariff of ₹153. This voice-enabled phone can not only make calls and send messages, but also access a library of wide-ranging content and be used as a mirroring device to watch videos on TV, using a specially designed cable. With the kind of start that Jio has managed, in just over a year since its launch, Ambani appears well on his way to be the harbinger of the exponential change he referred to.